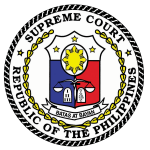 The Supreme Court has ordered the Manila City Regional Trial Court, Branch 5 to reinstate the criminal case for reckless imprudence against an official of the Sulpicio Lines, Inc. (SLI) in connection with the 2008 M/V Princess of the Stars tragedy that resulted in the death of 227 passengers. In a 20-page decision penned by Justice Jose C. Reyes, Jr., the Court’s Third Division, granting the consolidated petitions, reversed and set aside the March 22, 2013 decision and the January 8, 2014 resolution of the Court of Appeals that ruled in favor of respondent Edgar S. Go, SLI First Vice-President for Administration and team leader of the Crisis Management Committee. “In this case, the criminal action instituted against respondent involved exclusively the criminal and civil liability of the latter arising from his criminal negligence as responsible officer of SLI. It must be emphasized that there is a separate civil action instituted against SLI based on culpa contractual incurred by it due to its failure to carry safely the passengers of Stars to their place of destination. The civil action against a shipowner for breach of contract of carriage does not preclude criminal prosecution against its employees whose negligence resulted in the death of or injuries to passengers,” the Court held. Go filed with the DOJ Secretary a petition for review, during which pendency then Department of Transportation and Communication Secretary Leandro Mendoza issued a resolution exculpating SLI from any negligence and holding Captain Florencio M. Marimon solely responsible for the sinking of M/V Princess of the Star. Subsequently, the DOJ Secretary denied the petition of Go, who elevated the case to the CA after his motion for reconsideration was denied. The CA ruled in Go’s favor holding that “respondent’s act of allowing the officers of the vessel to decide whether to set sail or not did not make him criminally liable as such decision was within the authority of the captain of the vessel, in coordination with the [Philippine Coast Guard] PCG, in view of the weather bulletin.” The CA also found erroneous the finding of the DOJ Panel that Go was criminally liable for not instructing the vessel to seek shelter or drop anchor in the face of the storm because there was not a shred of evidence from which such power to decide matters pertaining to the vessel’s navigation could be inferred. The High Court, however, ruled that it will not interfere with the executive determination of probable cause for the purpose of filing an information in the absence of grave abuse of discretion. It noted that the DOJ Panel’s Resolution clearly supports a prima facie finding that reckless imprudence under Article 365 of the Revised Penal Code has been committed. The Court found that the DOJ Panel did not only rely on affidavits of complainants but also conducted clarificatory hearings in finding that first, respondent Go, among others, failed to closely monitor and assess the movement of the vessel as against the movement of Typhoon Frank such that he did not instruct Captain Marimon to take shelter in the vicinity of Batangas despite information from PAGASA that the vessel would come face to face with Typhoon Frank if it continued along its regular route; second, Go’s acts, though not malicious, were indeed voluntary; and finally, Go’s act of allowing the vessel to sail despite the severe weather condition demonstrated inexcusable lack of precaution on the latter’s part. The Court further held that shipowner’s liability based on the contract of carriage is separate and distinct from the criminal liability of those who may be found negligent. It added that it is beyond dispute that a civil action based on the contractual liability of a common carrier is distinct from an action based on criminal negligence. In this case, it said that the criminal action instituted against respondent Go involved exclusively the criminal and civil liability of the latter arising from his criminal negligence as a responsible officer of SLI. In June 2008, the passenger cargo M/V Princess of the Stars owned by SLI failed to make a safe voyage from Manila to Cebu when it capsized in waters off Sibuyan Island in Romblon province at the height of Typhoon Frank. Of the 849 persons on board, only 32 survived, 227 died, and 592 were reported missing.